Four community projects from across Wales have been announced as finalists in the 2016 Jewson Building Better Communities competition. After beating 1,800 nominated projects they’ve made it to this stage, and now need your help to secure a share of the £250,000 prize fund. Trigollion Community Building, Iorwerth Arms Community Pub, Canton RFC Junior Section and Gwerin y Coed – ‘Sied Setlo’ Community Education Centre are calling on members of the local community to get behind the projects and cast their vote on the Jewson Facebook page. Winners will be awarded building materials from Jewson to help transform buildings up and down the UK into warm, inviting and efficient spaces for the whole community to enjoy. This year, applicants had the choice to nominate a project for either the main prize of a £150,000 transformation, using the Saint-Gobain ‘My Comfort’ building principles, or a share of a £100,000 regional prize fund, where they could ask for anything from £500 to £10,000 to spend on building materials. People have until 19th June to vote for their local project. Votes can be cast via the Jewson Facebook page at www.facebook.com/jewsonuk. 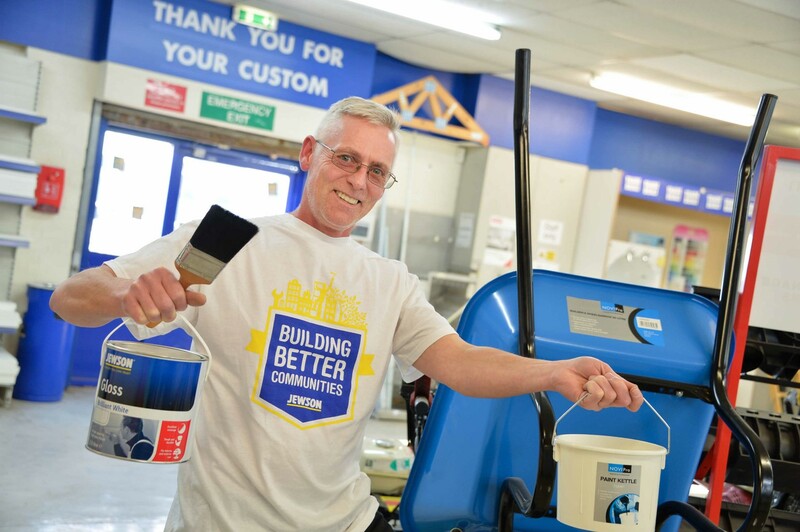 David Fenton, Marketing Director at Jewson, said: “Supporting the communities where we live and work is so important to us, and hearing the heart-warming tales of some of last year’s projects motivated us to do even more to help boost community spirit up and down the UK. View the shortlist here. To see the projects in more detail visit: www.buildingbettercommunities.co.uk.